With the second episode of its second season, Grimm slipped in the ratings, but not too much. The episode pulled a 1.7 rating in the 18-49 demographic and 4.9 million total viewers, which is down from the 2.0 rating and 5.6 million viewers of its debut. 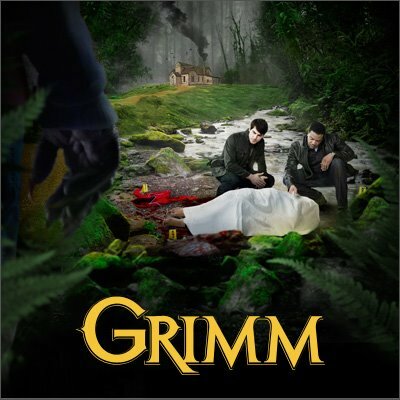 But a drop is generally expected after a season premiere, and Grimm still won its timeslot and was NBC’s highest rated show for the evening. Expect the show to continue around this level of performance throughout its late Summer run and then it will likely return to the 1.5 rating range when it moves back to Fridays in September. And those numbers should be good enough to keep the network happy for now. TNT’s Falling Skies wrapped up its second season this past Sunday, pulling a 1.4 rating and 3.84 million total viewers. The show basically followed the same trend as its first season with the ratings slacking off during the middle of the season then building back up toward its finale. The series has already been renewed for a third season. Also on Sunday night, HBO’s True Blood again won the night among cable shows, pulling a 2.8 rating and 4.93 million total viewers for the second to last episode of its fifth season. Syfy’s Warehouse 13 and Alphas rebounded a bit from the dive in the ratings they took last week. The former show edged up to a 0.6 rating in the 18-49 demo this past Monday and the latter a 0.5 rating. Those are decent enough numbers for now, but they don’t give either show much leeway for slippage for the rest of the season. And this past Thursday, NBC’s airing of the Canadian supernatural series Saving Hope resumed at about the same levels as were it left, pulling a 0.6 rating and 3.3 million total viewers. The series has been renewed for a second season because it has performed well in Canada, but it’s unlikely that NBC will make room for it on their schedule next Summer.